(12:10 p.m. GMT) -- Passengers aboard a spring cruise on Fred. 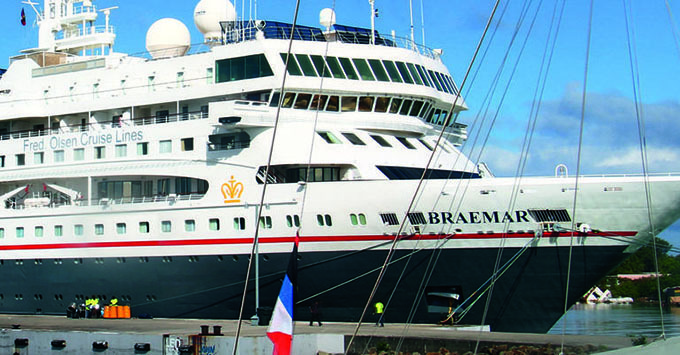 Olsen's Braemar are being offered a unique opportunity to "steer the ship." They will be invited to vote in a ballot to plot the course on the 14-night "You Choose Your Cruise" sailing to the Baltic, departing from Southampton on 29 May, 2018. Passengers on the adults-only sailing will be able to choose between two ports of call as the ship sails. Options include capital cities or lesser-known ports of call across the Netherlands, Germany, Denmark, Finland and Estonia. Once the ballot has been counted, the captain will announce the winning choice. The only two highlights which have been confirmed in advance are an overnight stay in St. Petersburg and a transit of the Kiel Canal. "The atmosphere is electric each voting day, and this exciting two-week cruise puts guests firmly in command," said Justin Stanton, sales and marketing director for Fred. Olsen Cruise Lines. "The cruise creates a holiday made especially for those who love mystery, adventure and the smaller-ship atmosphere of a Fred. Olsen cruise. The first of the difficult destination choices that guests will have to make onboard will be between Amsterdam and Rotterdam; both offer a number of attractions but have a very different feel." Other ports of call in the ballot are Copenhagen or Hundested in Denmark, Tallinn or Saaremaa in Estonia, Helsinki or Kotka in Finland, and Wismar or Travemunde in Germany. Fred. Olsen was recently voted Best for Itineraries for the third year running in Cruise Critic's 2017 UK Editors' Picks Awards.